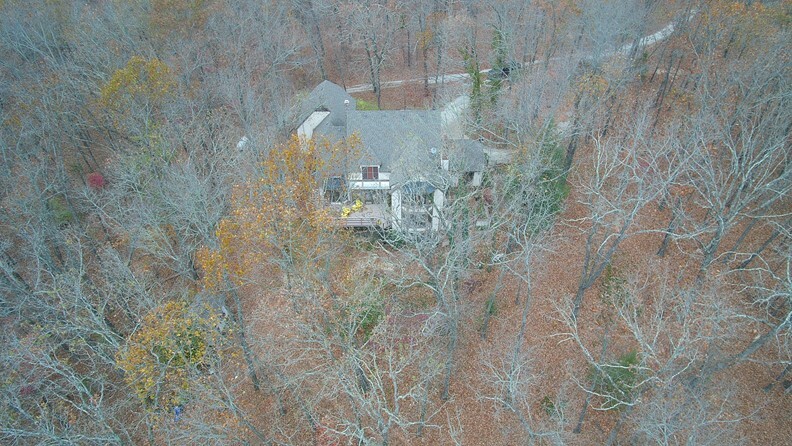 Home for sale with acreage in the Missouri Ozarks. This Missouri Ozarks property offers a custom built English tudor style home with a tree lined private drive and English cottage-esque gardens and outdoor space. The main floor of this home has a living room with fireplace, large kitchen with island, sun room and office with a view of the property in all seasons. The breakfast area offers a bay window and the home also has 2 family rooms with fireplaces and a formal dining room. The property of 105 acres in West Plains, MO includes fenced pastures, mature timber, 6 ponds, waterers, hiking trails, horse barn, outbuildings, and a shop. West Plains, Missouri located in the Missouri Ozarks offers shopping, restaurants, schools (including Missouri State University), libraries, the Ozarks Medical Center, and the West Plains Civic Center. This property is close to the Mark Twain National Forest, Lake Norfork, Bull Shoals Lake, and the North Fork of the White River for all outdoor recreation. Branson, Missouri is also close by and offers shows, shopping, Sliver Dollar City, and restaurants.